Italy Earthquake: The earthquake hits the same place which was recently affected by the strong quakes at the central Italy. According to the US Geological Survey, the Thursday morning Italy earthquake has recorded as the magnitude 5.0. The earthquake struck the central Italy in the early morning hours at 01:32 AM (00:35 GMT) and it was very shallow 6.2 miles deep. It was located at 32 miles (51.5 km) southeast of Perugia. 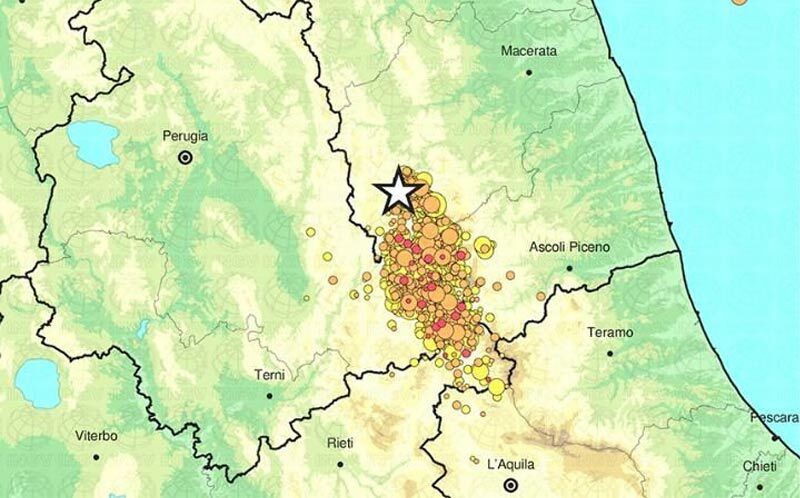 According to the National Institute of Geophysics and Vulcanology (INGV), the epicenter of the earthquake was found in Pieve Torina (Macerata) at the 8 km depth and it has the magnitude rate of 4.8. On October 26 of this year, the earthquakes hit the same location with the magnitude measure of 5.5 and 6.1 followed by the 6.6 quake on this Sunday. The Italy was faced the biggest tremor in this year for 36 years.